2. Never think to hang your TV on a picture hook. 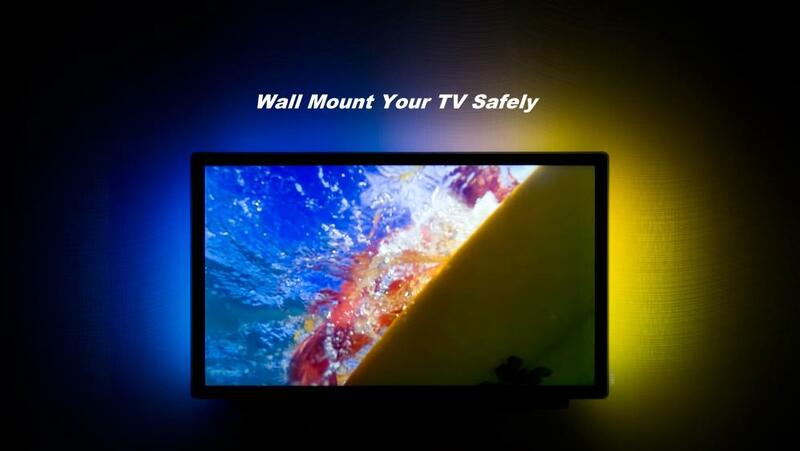 There are proper brackets considering the specific weight of your TV to hold it firmly with the wall. Follow the instruction guide to have the best fit possible. 3. Be sure that the area behind the wall that you have chosen is clear. Use a Stud Finder for searching the proper studs that will hold your TV. Some walls aren’t made to be mounted, be sure you find a proper one. 4. Don’t forget to turn off the power before actually start drilling the wall as you may get that unexpected shock. 5. Take the proper measurements of the distance of the brackets and get the appropriate tools and equipment for fixing the brackets and the TV. 6. Be sure you have at least another helping hand to lift up your TV up to the targeted wall to prevent any TV weight accidents. 7. Make sure all the cords and cables are totally out of reach of the children or you may use cable cover for the best safety. Following these simple and easy tips may help you to accomplish your dream goal. But if you are still not confident enough to properly mount your TV then better hand over these issues to an expert and professional hand and enjoy a perfectly mounted TV on your wall!